John Batchelor received the B.Sc. and Ph.D. degrees from the University of Kent, Canterbury, U.K., in 1991 and 1995, respectively. From 1994 to 1996 he was a Research Assistant in the Electronics Department of the University of Kent, becoming a lecturer in 1997 and Senior Lecturer in 2006. In 2005 he became head of the Antennas Group at Kent. Dr Batchelor has published work in international journals such as the IEEE Transactions on Antennas and Propagation, IET Proceedings on Microwaves, Antennas and Propagation and Electronics Letters. He has attracted EPSRC and industrial funding and has collaborated with groups at the Universities of Manchester and Surrey (UK) and Auckland (New Zealand). He has also collaborated with DERA and PITO (now National Policing Improvement Agency) and numerous industrial companies. His current research interests include bodyworn antennas, platform independent RFID tags including transfer tattoo tags for skin, compact multiband antennas, Electromagnetic-Band Gap (EBG) structures,  long-wavelength Frequency-Selective Surfaces (FSS) and the use of passive wireless sensors for Assistive Technologies. 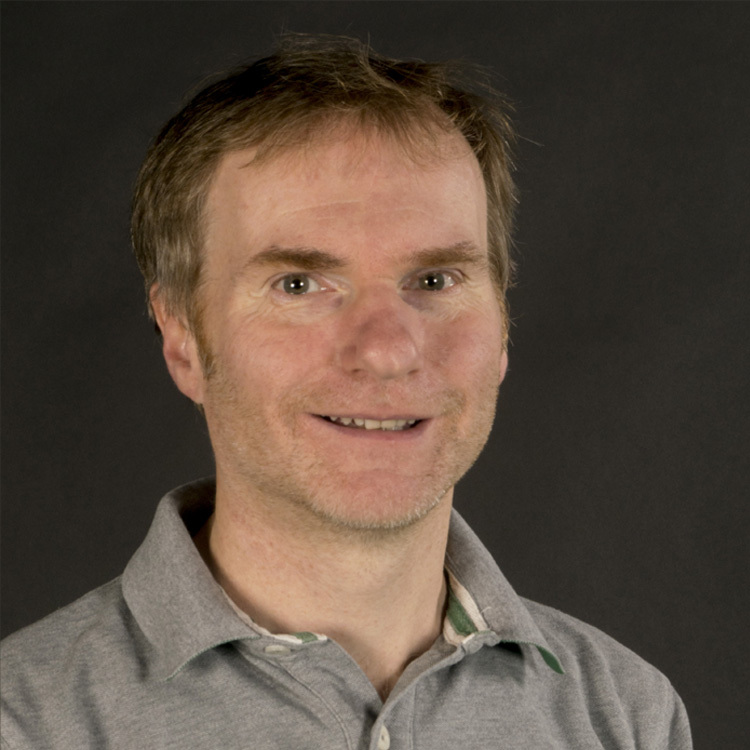 John is currently an EPSRC Foresight Manufacturing Fellow and much of his research is concerned with wearable wireless technologies and low energy or passive systems for the Internet of Things. His work has primarily been funded by EPSRC, the European Commission and by Industrial Contract. He is currently Principal Investigator on EPSRC project EP/J000086/1, ‘Digital Fabrication of UHF Electromagnetic Structures’ and EP/L019868/1, 'Sustainable Digital Fabrication of Low Energy Passive Wireless Sensors'. These projects aim to develop inkjet printed passive wireless sensing RFID tags on challenging substrates and are both in collaboration with inkjet specialists at the University of Manchester, and the later with Dr Simon Holder, a polymer scientist from the School of Physical Sciences at Kent. Other EPSRC funded collaborations have developed human scanned avatars to evaluate body-centric wireless channels (with Sheffield University), bodyworn antenna designs in the form of Jeans buttons (with Dr Benito Sanz-Izquierdo), RFID transfer tattoos (with Dr Ali Ziai), Frequency Selective Surfaces for spectrum control and frequency re-use within buildings (with Manchester and Auckland Universities), and LTCC Surface Integrated Waveguide Antennas for mm-wave systems (with Surrey University). His latest research involves thin magnetic screening for HF RFID tags and passive sensors for Assistive Technologies. He is also working with Dr Maria Alfredsson from the Materials group at Kent to develop ultra-low profile printed batteries with integrated antennas. John's RFID transfer tattoo design was highly commended in the IET 2011 innovation awards. He has recently been awarded the EPSRC funded project AART-BC (Assistive, Adaptive and Rehabiliative Technologies - Beyond the Clinic). This project is in collaboration with the universities of Warwick, York, Cardiff, UCL, Oxford Brookes and Salford. The  focus is on the development of a platform to monitor the use of AT and compliance with RP and support the patient outside of the clinic. The project will demonstrate the technology in three patient groups: wheelchair users, prosthetic users and the elderly. Showing 50 of 265 total publications in the Kent Academic Repository. View all publications. Hillier, A. et al. (2019). A Passive UHF RFID Dielectric Sensor for Aqueous Electrolytes. IEEE Sensors Journal [Online]:1-7. Available at: http://dx.doi.org/10.1109/JSEN.2019.2909353. The one step modification of a commercial RFID sensing tag is demonstrated using polydimethylsiloxane based thin film chemistry to construct reusable passive RFID sensors for changes in the dielectric properties of electrolyte solutions as a function of concentration. The effects of PDMS film thickness were characterized as a function of RFID sensor code value. The output sensor code of the RFMicron RFM2100-AER wireless flexible moisture sensor (taken between 800-860 MHz) was compared to readings taken when the tag was dry and when the tag had a water deposition on the sensor area. The effect of the direct application of liquid water to the tag was to alter the capacitance presented to the integrated chip which auto-tunes to correct for the reactance. By varying the thickness of the PDMS film between the interdigitated sensor and deposited liquid, the sensitivity of the tag to a high dielectric medium could be controlled. Aqueous salt solutions were tested on a 500 m thickness film. It was found that the sensing platform could be used as a means of measuring the concentration of various salt solutions within the range 0-2M, and in turn could be used as a passive UHF RFID dielectric measuring tool. The measurement capability of the platform was subsequently demonstrated using a reduced frequency range (845-865 MHz). Almoteriy, M., Sobhy, M. and Batchelor, J. (2018). Characterization of Wideband Antennas for Point-to-Point Communications. IEEE Transactions on Antennas and Propagation [Online]. Available at: https://doi.org/10.1109/TAP.2018.2851367. Antenna frequency response can be characterized in terms of effective aperture and gain. Antennas can also be characterized as a two-port network to ascertain the antenna transfer function (S21). This characterization is important in point-to-point (P2P) communication, as the frequency response can vary due to changes in the radiation pattern in the physical channel. This paper presents a process to investigate the frequency response of a wideband antenna in order to identify the best orientation of the antenna for P2P communication. The process predicts the antenna’s effective aperture and gain for each orientation. An equivalent circuit for the wideband antenna is also derived to obtain the total radiated power. The frequency-variant radiation pattern is ascertained from the S21 phase obtained from the equivalent circuit. For each orientation, the S21 phase is analyzed based on the linear, minimum, and all-pass phase components, which enables the derivation of an equivalent circuit. The variation of group delay for each orientation is also obtained and compared. The measurements between two identical antennas at the two orientations with a free-space channel were then modeled for simulation in a digital system. This simulation predicts the antenna effects for the two orientations used. Finally, this process was validated by using a non-minimum phase monopole ultra-wideband (UWB) antenna. Pichorim, S., Gomes, N. and Batchelor, J. (2018). Two Solutions of Soil Moisture Sensing with RFID for Landslide Monitoring. Sensors [Online] 18:452. Available at: https://doi.org/10.3390/s18020452. Caccami, M. et al. (2017). A Tightly Integrated Multilayer Battery Antenna for RFID Epidermal Applications. IEEE Transactions on Antennas and Propagation [Online] 66:609-617. Available at: http://dx.doi.org/10.1109/TAP.2017.2780899. For the acceptance 1 of biointegrated devices in daily life, radio systems must be developed, which are minimally invasive to the skin, and they must have ultralow-profile local power sources to support data-logging functionality without compromising shape conformability. This contribution proposes a tightly integrated multilayer battery-antenna system (65 × 23 mm2), that is, ultrathin (just 200 ?m), flexible, and lighter than 1 g, making it suitable for epidermal applications. The negative electrode (anode) current collector of the battery is a radio frequency identification tag antenna coated by a conductive polymer (Pedot:PSS) working as anode material. Since the battery is a dynamic device, subjected to discharging, the antenna design must include the variable dielectric properties of the conductive polymer which are here first characterized in the UHF band for real charge/discharge battery conditions. The communication performance of the prototype composite device is hence evaluated through the measurement of the realized gain of the tag antenna (?19.6 dBi at 870 MHz) when it is placed directly onto a volunteer’s forearm. The read range of 1.3–3 m is suitable for occasional data download from the epidermal data logger when the user comes close to a reader-equipped gate. Bharadwaj, R. et al. (2017). Impulse Radio-Ultra Wideband Communications for Localisation and Tracking of Human Body and Limbs Movement for Healthcare Applications. IEEE Transactions on Antennas and Propagation [Online] 65:7298-7309. Available at: http://dx.doi.org/10.1109/TAP.2017.2759841. Gu, C. et al. (2017). Dual-Band Electronically Beam-Switched Antenna Using Slot Active Frequency Selective Surface. IEEE Transactions on Antennas and Propagation [Online] 65:1393-1398. Available at: http://dx.doi.org/10.1109/TAP.2016.2647578. Abstract—A dual-band electronically beam-switching antenna using a cylindrical active frequency selective surface (AFSS) is presented. The antenna structure consists of a slot AFSS and an omnidirectional dual-band feed antenna. The PIN diodes of half the AFSS are switched ON and OFF respectively to reconfigure the surface as transparent and opaque to the incident EM waves. Thus by controlling the bias voltages to different columns, the directive beams can be swept in 4 steps covering the whole azimuth plane. A design validation based on a metallic reflector antenna is performed to predict the performances of the proposed AFSS antenna. To validate the design concept, the transmission coefficients of the active FSS sheet are experimentally examined. Then an antenna prototype operating at 2.5 GHz and 5.3 GHz frequency bands is fabricated and measured. Simulation and measurement results of the fabricated antenna are presented to verify the design principle. A comparison between this work and previous (single-band) designs is given to better interpret the characteristics of the dual-band AFSS antenna. Belsey, K. et al. (2017). Switchable disposable passive RFID vapour sensors from inkjet printed electronic components integrated with PDMS as a stimulus responsive material. Journal of Materials Chemistry C [Online] 5:3167-3175. Available at: http://dx.doi.org/10.1039/c6tc05509e. A route to cheap and disposable sensors for the chemical sensing market, with potential applications including monitoring of food spoilage, is reported herein. The sensor is the result of the direct integration of a stimuli-responsive material, poly(dimethylsiloxane) (PDMS), with an electronic component. The printing and sintering of colloidal silver ink solutions onto PDMS was optimized to allow the printing of conductive silver feed loops, which are the active sensing component in antennas for passive (battery-free) Radio Frequency Identification (RFID) tags. The response of these devices is related to the degree of swelling of the PDMS, which, in turn, has been shown to be correlated to the Hansen solubility parameters and the vapour pressures of the corresponding volatile organic compounds (VOCs). When exposed to solvent vapour the printed feed loop fractures, increasing resistance and ultimately breaking conductivity, leading to a change in the transmitted power and read range of the wireless device. Remarkably upon removal from the vapour, the fractured feed loops reassemble and become conductive again, making them switchable and “multi-use”. This work paves the way to a fully inkjet printed RFID substrate for vapour detection. Oyeka, D., Batchelor, J. and Ziai, M. (2016). Effect of skin dielectric properties on the read range of epidermal ultra-high frequency radio-frequency identification tags. Healthcare Technology Letters [Online] 4:78-81. Available at: https://dx.doi.org/10.1049/htl.2016.0072. This Letter presents an investigation of the effect of human tissue conductivity and permittivity on the performance of epidermal transfer tattoo ultra-high frequency radio-frequency identification (RFID) tags. The measurements were carried out on 20 individuals and the variations in the measured dielectric properties correlate well with variations in the measured tag read range on the individuals and to a lesser extent with their body mass index values. Simulation results also showed the effects of permittivity and conductivity on the designed resonance frequency of the RFID tag. Casson, A., Saunders, R. and Batchelor, J. (2016). Five day attachment ECG electrodes for longitudinal bio-sensing using conformal tattoo substrates. IEEE Sensors Journal [Online] 17:2205-2214. Available at: https://dx.doi.org/10.1109/JSEN.2017.2650564. preventative healthcare. In particular that the gel dries out giving a limited connection time. This paper presents ECG electrodes manufactured using the inkjet printing of Silver nanoparticles onto a conformal tattoo substrate. The substrate maintains a high quality connection to the body for many days at a time allowing ECG monitoring over periods not previously possible without electrode re-attachment. The design and manufacture of the conformal electrodes is presented, together with detailed characterization of the electrode performance in terms of the Signal to Noise Ratio and baseline wander. The Signal to Noise Ratio is shown to still be over 30 dB five days after the initial electrode attachment. Rakibet, O. et al. (2016). Passive wireless tags for tongue controlled assistive technology interfaces. IET Healthcare Technology Letters [Online] 3:1-5. Available at: http://dx.doi.org/10.1049/htl.2015.0042. no need for tongue piercings. Turki, B. et al. (2016). Significant Factors in the Inkjet Manufacture of Frequency Selective Surfaces. IEEE Transactions on Components, Packaging and Manufacturing Technology [Online] 6:933-940. Available at: http://dx.doi.org/10.1109/TCPMT.2016.2561972. Additive fabrication of electromagnetic structures by inkjet printing technology is both cost effective and compatible with a wide range environmentally-friendly substrates, enabling fabrication of frequency selective surface arrays with line dimensions less than 0.1 mm; difficult to achieve with conventional subtractive techniques. Several approaches have been investigated in order to produce low-cost frequency selective panels with acceptable level of isolation, such as savings in ink by depositing it at the edges of dipole elements where the surface current tends to maximize. The FSS transmission characteristics were improved by jetting multiple ink layers on the whole elements and at the edges. The electrical resistance of various arrays have been measured and analysed and has been used to assess the performances of the FSS. Oyeka, D. et al. (2016). Tag diversity of inkjet printed body-worn radio frequency identification integrated medical sticking plasters for wireless monitoring. IET Healthcare Technology Letters [Online] 3:257-262. Available at: http://dx.doi.org/10.1049/htl.2016.0024. This Letter presents an investigation of radio frequency identification tags integrated with sticking plasters. Conductive ink is used in the fabrication to provide good compatibility with the plaster in terms of flexibility. The tag is proposed for use as a wireless platform for long-term patient monitoring in hospital environments. A motion capture system is used to test the directions in which the tag can be read to inform a diversity study establishing the number of tags required on-body to ensure reliable reading for applications such as medical monitoring. Tag diversity performance with various body movements is also studied. It is established that four tags give all round body coverage with only 4% loss in coverage for vertically polarised tags should one of them fail. Sanchez-Romaguera, V. et al. (2015). Inkjet printed paper based frequency selective surfaces and skin mounted RFID tags: the interrelation between silver nanoparticle ink, paper substrate and low temperature sintering technique. Journal of Materials Chemistry C [Online] 3:2132-2140. Available at: http://dx.doi.org/10.1039/c4tc02693d. Inkjet printing of functional frequency selective surfaces (FSS) and radio frequency identification (RFID) tags on commercial paper substrates using silver nanoparticle inks sintered using low temperature thermal, plasma and photonic techniques is reported. Printed and sintered FSS devices demonstrate performances which achieve wireless communication requirements having a forward transmission scattering parameter, S21, depth greater than ?20 dB at 13 GHz. Printed and plasma sintered RFID tags on transfer paper, which are capable of being mounted on skin, improved read distances compared to previously reported single layer transfer RFID tags fabricated by conventional thermal sintering. Garcia Zuazola, I. et al. (2015). Band-pass filter-like antenna validation in an ultra-wideband in-car wireless channel. IET Communications [Online] 9:532-540. Available at: http://dx.doi.org/10.1049/iet-com.2014.0057. Ultra-wide band (UWB) is a very attractive technology for innovative in-car wireless communications requiring high data rates. A designated antenna, which presents a reflection coefficient (S11) matched band comparable to the Band Pass Filters (BPF) normally required at the transducers, plays a positive contribution in this in-car application and was validated for the scenario. The inherited BPF-like response of the antenna relaxes the specification of the front-end BPF components of the transceivers. The in-car propagation channel was modelled and used to validate the BPF-like antenna. For the modelling, a comprehensive set of well-defined measurements (using a standard antenna) were used to set-up the in-car channel simulator and simulated results were used to validate the BPF-like antenna. Additionally, the performance of the UWB radio system is studied and the probability of errors over the communication channel compared using the standard and the BPF-like antenna by predictions. Rumens, C. et al. (2015). Swelling of PDMS Networks in Solvent Vapours; Applications for Passive RFID Wireless Sensors. Journal of Materials Chemistry C [Online] 3:10091-10098. Available at: http://dx.doi.org/10.1039/c5tc01927c. The relative degree of swelling of a poly(dimethylsiloxane) (PDMS) network in organic vapours is demonstrated to be related to the chemical and physical properties of the organic compounds. The swelling ratio, based on volume change, QV, is directly correlated with the Hansen solubility parameters, dd, dp and dh and the vapour pressures of the organic vapours employed. A practical use for such PDMS networks in combination with an understanding of the relationship is demonstrated by the use of PDMS as a mechanical actuator in a prototype wireless RFID passive sensor. The swelling of the PDMS displaces a feed loop resulting in an increase in transmitted power, at a fixed distance. Ziai, M. and Batchelor, J. (2015). Smart radio-frequency identification tag for diaper moisture detection. IET Healthcare Technology Letters [Online] 2:18-21. Available at: http://dx.doi.org/10.1049/htl.2014.0098. A passive smart tag is described that responds to dampness in diapers once a pre-defined threshold value is reached. A high-frequency (HF) system at 13.56 MHz is used as this allows operation through water or human tissues with less absorption that would occur for an ultra-HF signal. A circular spiral coil and swelling substrate facilitate a reaction to dampness that can be detected without contact to the diaper wearer. A prototype design is simulated and measured results are provided together with a demonstration of a tag integrated into a worn diaper. Sharma, A. et al. (2015). Dual Purpose Near- and Far-Field UHF RFID Coil Antenna With Non-Uniformly Distributed-Turns. IEEE Antennas and Wireless Propagation Letters [Online] 14:1342-1345. Available at: http://dx.doi.org/10.1109/LAWP.2015.2405016. the SL-NDTC antenna to evidence enhanced near- and far-field performance in the latter. Liang, B. et al. (2015). A Frequency and Polarization Reconfigurable Circularly Polarized Antenna Using Active EBG Structure for Satellite Navigation. IEEE Transactions on Antennas and Propagation [Online] 63:33-40. Available at: http://dx.doi.org/10.1109/TAP.2014.2367537. This paper presents a broadband frequency tunable and polarization reconfigurable circularly polarized (CP) antenna, using a novel active electromagnetic band gap (EBG) structure. The EBG surface employs identical metallic rectangular patch arrays on both sides of a thin substrate, but rotated by 90º from each other. The active bias circuits are also orthogonal for each surface, enabling the reflection phases for orthogonal incident waves to be tuned independently in a wide frequency range. By placing a wideband coplanar waveguide (CPW) fed monopole antenna above the EBG surface, and properly tuning the bias voltages across the varactors in each direction, CP waves can be generated at any desired frequency over a broad band. In accordance with simulations, the measured 3dB axial ratio (AR)bandwidth reaches 40% (1.03-1.54GHz), with good input matching(S11) and radiation patterns at six presented sampling frequencies. The polarization reconfigurability is verified by simulations and measurements, and shown to be capable of switching between left hand circular polarization (LHCP) and right hand circular polarization (RHCP). Tribe, J. et al. (2015). Tattoo Antenna Temporary Transfers Operating On-Skin (TATTOOS). in: Design, User Experience, and Usability: Users and Interactions. Los Angeles: Springer, pp. 685-695. Available at: http://dx.doi.org/10.1007/978-3-319-20898-5_65. Almoteriy, M., Sobhy, M. and Batchelor, J. (2018). Antenna Modeling Technique for Digital Communication Systems. in: 15th International Conference on Synthesis, Modeling, Analysis and Simulation Methods and Applications to Circuit Design (SMACD). IEEE. Available at: https://doi.org/10.1109/SMACD.2018.8434852. to the error vector magnitude. Jacob, K. et al. (2018). An exploration of behind-the-ear ECG signals from a single ear using inkjet printed conformal tattoo electrodes. in: 40th International Conference of the IEEE Engineering in Medicine and Biology Society. IEEE, pp. 1283-1286. Available at: http://dx.doi.org/10.1109/EMBC.2018.8512538. form factor. Previous works have investigated the recording of electrocardiography (ECG) from the ear, but generally with one electrode placed some distance away from the ear itself. This paper uses recently introduced tattoo electrodes to investigate whether ECG components can indeed be measured from behind a single ear. Compared to a reference photophelsmography (PPG) device we show that the fundamental heart beat frequency is present in behind-the-ear ECG only in half of the cases considered. In contrast the second harmonic is present in all records and could allow the extraction of heart rate to within a few beats-per-minute accuracy. Further signal processing work is required to allow the automated extraction of this, particularly when working with short time windows of data, but our results characterize the signal and demonstrate the principle of behind-the-ear ECG collected from a single ear. Batchelor, J. et al. (2018). RFID monitoring for Assistive Technologies beyond the Clinic. in: 12th European Conference on Antennas and Propagation. IET. Available at: http://dx.doi.org/10.1049/cp.2018.0979. A UHF RFID tilt angle and location sensing system is described for tracking users of assistive or rehabilitative technologies in their homes. Results show 3-axis accelerometer angles can be read at 10 Hz, and location within a room can be determined within 0.5 m resolution. A skinmounted microstrip patch antenna is proposed for the RFID communications and power harvesting. Caccami, M. et al. (2018). Development of a new class of on-skin radio-sensors boosted by thin polymer-based batteries. in: IMWS-AMP 2017 : IEEE MTT-S International Microwave Workshop Series on Advanced Materials and Processes. Italy: IEEE. Available at: http://dx.doi.org/10.1109/IMWS-AMP.2017.8247436. Conductive polymers are currently collecting interest for the development of low-profile eco-friendly and biocompatible non-metallic batteries capable of providing a local power source for the next-generation flexible body-integrated electronics. In this contribution, we demonstrate the feasibility of an organic ultrathin and multilayered polymer-based battery integrating a radiofrequency identification (RFID) tag antenna by means of an electromagnetic characterization in UHF band of the polymeric films. The optimally modeling of the battery plus the antenna aimed to develop a new class of shape-conformable radio-sensors suitable to adhere to the skin as a tattoo as well as a plaster. A prototype of the device was manufactured and its communication performances were characterized through the measurement of the realized gain of the tag attached directly onto a volunteer's skin. Taylor, P. and Batchelor, J. (2018). Utilizing Everyday Metallic Structures as UHF RFID Antennas. in: 12th European Conference on Antennas and Propagation (EuCAP 2018).. Available at: http://dx.doi.org/10.1049/cp.2018.1220. This paper introduces a technique where everyday metallic objects can be made resonant at a frequency of interest and to function as an antenna. This is achieved by the coupling of parallel resonant devices referred to as “Linear Resonators” to a metallic structure, where the Linear Resonator fundamentally operates as a passive frequency selective switch. Presented here is an initial proof of concept design targeted at the European RFID band. The design performance is evaluated both by simulation and practical measurements on various tubular structures. Taylor, P. and Batchelor, J. (2018). Small Epidermal UHF RFID Loop Antenna for Passive Oral Cavity Control Applications and Patient Health Monitoring. in: 2018 IEEE International Symposium on Antennas and Propagation & USNC/URSI National Radio Science Meeting. IEEE, pp. 687-688. Available at: http://dx.doi.org/10.1109/APUSNCURSINRSM.2018.8609328. This paper introduces small loop type antennas and their potential for use in UHF RFID far-field applications. They are typically known as ‘magnetic loops’ and an established antenna for HF applications. Here we evaluate their potential for use, both by simulation and measurement in the challenging environment of the oral cavity for patient health monitoring and assistive technologies. Ziai, M. and Batchelor, J. (2018). Supply Chain Integrity Tilt Sensing RFID Tag. in: IEEE MTT-S International Microwave Workshop Series on Advanced Materials and Processes. Italy: IEEE. Available at: http://dx.doi.org/10.1109/IMWS-AMP.2017.8247357. A tilt sensing tag is presented with a passive wireless RFID communications link. The tag is designed to reduce its read range when tilted in order to signal and memorize mishandling during transit or storage. The novelty of this design is the incorporation of mechanically altered ground plane separation from the antenna to achieve 2 states of input match, and also the introduction of a pair of sensing pads connected directly to the antenna port to facilitate the tilt detection and the retention of that information. The significance is for supply chain integrity with the realization of low cost wireless sensing tags that can be deployed widely in the monitoring of objects using standard RFID transponder chips, without the need of continuous energy harvesting, on-tag batteries or super capacitors. The results show that, when mounted on a variety of platforms, the tags are able to detect and retain tilt events by signalling states through backscattered power levels. The mechanical structure of the tag is proposed for manufacture by new additive printing techniques. Ziai, M. and Batchelor, J. (2017). Tilt and Tamper Sensing UHF RFID Security Tag. in: Loughborough Antennas and Propagation Conference LAPC17. UK: IET, pp. 1-5. Available at: https://events.theiet.org/lapc/about-2017.cfm. A passive tag is proposed for indicting mishandling of items in the supply chain. The tag signals excessive tilting by varying its read range and as a measure against counterfeiting, it is deactivated should it be removed from its original platform. Taylor, P. and Batchelor, J. (2016). Small Epidermal Antennas. in: IEEE APSURSI 2016. Puerto Rico: IEEE, pp. 1-1. Available at: http://www.2016apsursi.org/. Small magnetic loop antennas are proposed as skin transfer tattoos to overcome the efficiency limitations of human tissue and variability of detuning. Sanz-Izquierdo, B. et al. (2016). An application of active frequency selective surface to reconfigurable antenna technology. in: Active and Passive RF Devices Seminar. London, UK: IET. Available at: http://doi.org/10.1049/ic.2016.0006. Sobhy, M., Batchelor, J. and Howells, G. (2016). Identification of Transmitting Antennas in Secure Internet of Things Networks. in: Loughborough Antennas and Propagation Conference LAPC16. Loughborough, pp. 1-3. Ziai, M. and Batchelor, J. (2016). Epidermal UWB RFID Tag for Application On-Skin. in: IEEE APSURSI 2016. Puerto Rico: IEEE, pp. 1-1. Available at: http://www.2016apsursi.org/. UHF RFID tags have been demonstrated as transfer tattoos on-skin . However, the performance of these designs are limited owing to their very close proximity to highly lossy tissues which makes them unsuited for application in dense environments required in many sensitive tracking and identification applications, because of the inherent high power narrow band requirements of UHF RFID. Conversely, many proposed high resolution internal location systems use Impulse Radio Ultra-Wideband (IR-UWB) transmission with narrow RF pulses of a few hundred picoseconds spread over several GHz of bandwidth and with a power spectral density in the noise floor. These low spectral power density pulses are very difficult to detect and almost invisible to unauthorized readers as UWB pulses are indistinguishable from the noise, and can be detected only by receivers using correlation . UWB RFID tags have been shown in location systems to offer fine temporal and spatial resolution, with cm level accuracy in both outdoor and indoor localization in all three dimensions . Belsey, K. et al. (2016). Switchable Passive Wireless Vapour Sensors from Inkjet Printed Electronic Components on Poly (dimethylsiloxane). in: NIP & Digital Fabrication Conference. Society for Imaging Science and Technology, pp. 323-324. Available at: http://www.ingentaconnect.com/contentone/ist/nipdf/2016/00002016/00000001/art00081. A potential route to printed, inexpensive and disposable Radio Frequency Identification (RFID) sensor tags for chemical sensing such as the monitoring of food spoilage is described. The stimuli responsive material poly(dimethylsiloxane) (PDMS), is known to swell upon exposure to organic vapors. Colloidal silver ink solutions were printed and sintered onto surface modified PDMS to give conductive silver feed loops. These loops act as the active sensing component in antennae for passive (battery-free) (RFID) tags. When the tags were exposed to certain solvent vapors (e.g. ether, dichloromethane, acetaldehyde) the printed feed loop fractured. This was accompanied by a rapid increase in resistance and ultimately loss of conductivity. This led to a change in the transmitted power and read range of the wireless device. Remarkably upon removal from the vapor, the fractured feed loops reassemble and become conductive again, making them switchable and “multi-use”. The selectivity for the response to the vapors could be directly correlated to a function of the Hansen solubility parameters and vapor pressures of the solvents giving rise to the vapours. Significant differences in the solubility parameters between PDMS and the organic volatile and/or low vapor pressures lead to no significant response (e.g. methanol, acetic acid, popan-1-ol). This work paves the way to a fully inkjet printed RFID substrate for vapor detection. Batchelor, J., Yeates, S. and Casson, A. (2016). Conformal electronics for longitudinal bio-sensing in at-home assistive and rehabilitative devices. in: IEEE 38th Annual International Conference of the Engineering in Medicine and Biology Society (EMBC), 2016. US: IEEE, pp. 3159 -3162. Available at: http://ieeexplore.ieee.org/abstract/document/7591399/. Sujanani, S. et al. (2016). Conservation of Endangered Plant Species Using RFID Tags. in: Loughborough Antennas and Propagation Conference LAPC16. pp. 1-3. Radio Frequency Identification (RFID) tags in tamper-proof casings are proposed and tested as part of remote security systems for endangered plant species. The tag is shown to be sufficiently broadband and insensitive to the tamperproof box and underlying plant material and achieves a read range of more than 10m with a standard UHF reader system. Tests are undertaken to demonstrate the tag is readable from different elevations and azimuthal angles. Batchelor, J. and Casson, A. (2015). Inkjet printed ECG electrodes for long term biosignal monitoring in personalized and ubiquitous healthcare. in: Engineering in Medicine and Biology Society (EMBC), 2015 37th Annual International Conference of the IEEE. Milan: IEEE, pp. 4013-4016. Available at: http://dx.doi.org/10.1109/EMBC.2015.7319274. This paper investigates the performance of inkjet printed electrodes for electrocardiogram (ECG) monitoring in personalized and ubiquitous healthcare. As a rapid prototyping, additive manufacturing approach, inkjet printing can allow personalization of electrode sizes and shapes and can be used with a range of substrates to achieve good long term connections to the skin. We compare the performance of two types of inkjet electrodes printed using different substrates. Results demonstrate that both new electrodes can record ECG information, with comparable signal-to-noise ratios to conventional Ag/AgCl electrodes. The time-frequency decomposition of the collected signals is also explored. Ziai, M. and Batchelor, J. (2015). Passive UHF RFID Tilt Sensor. in: IEEE ICEAA. pp. 1-4. Available at: http://www.iceaa.net/j3/. In this paper we introduce a bio-axis passive wireless UHF RFID tilt sensor for applications such as to increase safety in warehouse environment and damage detection in consumer goods and where long term monitoring of the product is essential without the need to supply power to the sensors. Simulation and prototype testing indicate it is possible to detect and isolate tilting in 3 axes. Batchelor, J. et al. (2015). Skin-mounted RFID sensing tattoos for assistive technologies. in: 2014 IEEE MTT-S International Microwave Workshop Series on RF and Wireless Technologies for Biomedical and Healthcare Applications (IMWS-Bio2014). IEEE, pp. 1-3. Available at: http://doi.org/10.1109/IMWS-BIO.2014.7032434. UHF RFID technology is presented that can facilitate new passive assistive technologies. Tongue control for human computer interfaces is first discussed where a tag is attached to the hard palate of the mouth and the tag turn-on power is observed to vary in response to tongue proximity. Secondly, a stretchable tag is fabricated from Lycra fabric that contains conducting silver fibres. The application of strain to the elastic tag again causes the required power at the reader to activate the tag to vary in proportion. This elastic tag is proposed as a temporary skin mounted strain gauge that could detect muscle twitch in the face or neck of an otherwise physically incapacitated person. Either design might be applied to the steering function of a powered wheelchair, or to facilitate the control of a computer mouse. Better than 3dB isolation is achieved in the tongue switching case and approximately 0.25dBm per percentage stretch is observed for the strain gauge. Oyeka, D. et al. (2015). Effect of Ink Usage Conservation Techniques on the Read Range of Inkjet Printed Epidermal RFID Tags. in: European Conference on Antennas and Propagation EuCAP15. Portugal, pp. 1-3. Available at: http://www.eucap2015.org/. The effect of reducing the volume of conductive ink used in the fabrication of Epidermal RFID tags on the read range of the tag is investigated in this paper. The ink usage reduction is achieved by trimming the conductive parts of the designed tag. Oyeka, D., Batchelor, J. and Turki, B. (2015). Enhanced Read Range Tattoo RFID Tags. in: IEEE APSURSI 2015. Vancouver: IEEE, pp. 197-198. Available at: http://www.2015apsursi.org/. the profile of tattoos and can be mounted straight onto the skin. Oyeka, D. et al. (2015). Effect of conductive area trimming on the read range of inkjet printed Epidermal RFID tags. in: Antennas and Propagation (EuCAP), 2015 9th European Conference on. Lisbon: IEEE, pp. 1-4. Available at: http://ieeexplore.ieee.org/stamp/stamp.jsp?tp=&arnumber=7228877. The effect of reducing the volume of conductive ink used in the fabrication of Epidermal RFID tags on the read range of the tag is investigated in this paper. The ink usage reduction is achieved by redesigning of the conductive parts of the designed tag. Sharma, A. et al. (2015). Switched Non-uniformly Distributed-Turns Coil Antenna for Dual-band Operation. in: 9th European Conference on Antennas and Propagation (EuCAP), 2015. Lisbon: Institute of Electrical and Electronic Engineers, pp. 1-4. Available at: http://ieeexplore.ieee.org/stamp/stamp.jsp?tp=&arnumber=7228501. 866.6MHz of the ultra-HF (UHF), and the near- and far-field operations as a result. The radii of inner turns of the NDTC were earlier optimized using non-uniformly distributed turns of the coil for maximum magnetic-field (H-field) in the near-field, and the switching allows for the far-field where extended RFID reading ranges are sought using a single antenna unit. Simulated results corroborate the claim and show robust H-field and good radiation efficiency of the antenna. Liang, B. et al. (2015). Frequency Tunable and Circular Polarization Switchable Antenna using Dual Polarized Active Artificial Ground Structure. in: European Conference on Antennas and Propagation EuCAP 2015. Piscataway, NJ : IEEE. This paper presents a frequency and polarization reconfigurable circular polarized (CP) antenna using active arti-ficial ground (AG) structure. The active AG structure offers independent and symmetrical tuning capability of the reflection phases for dual polarized incident waves. By combining the AG structure with a wideband coplanar waveguide fed monopole antenna, and tuning the capacitances of the varactor diodes on the AG structure, CP wave is dynamically realized at any desired frequency over a wide band in the 1.15-1.60GHz range. At each frequency, the CP state is switchable between left hand CP and right hand CP, by simply swapping the capacitances of varactors controlling the reflection phases of the two orthogonal polarized waves. The antenna covers the frequencies of all operational and in-preparation satellite navigation systems, including GPS, GLONASS, Beidou and Galileo. Turki, B. et al. (2015). Deficiencies in Printed FSS Intended for Application in Smart Buildings. in: IEEE APSURSI 2015. Vancouver: IEEE, pp. 320-321. Available at: http://www.2015apsursi.org/. simple linear dipoles. The presence of the classes of error described would be serious in the case of elements with complex geometries. Sharma, A. et al. (2015). Widespread near-field with robust H-field using NDTC antennas in multipurpose applications. in: Twenty First National Conference on Communications (NCC), 2015. Mumbai: Institute of Electrical and Electronic Engineers, pp. 1-5. Available at: http://dx.doi.org/10.1109/NCC.2015.7084872. Ziai, M. and Batchelor, J. (2014). Tamper Proof RFID Security Tag. in: Loughborough Antennas and Propagation Conference (2014). IEEE, pp. 711-712. In this publication we present a tamper proof long range platform tolerant uhf smart RFID tag to identify valuable or security sensitive products. The smart tag functions as platform tolerant tag but once detached from the host object, it will permanently stop to function buy rendering the RFID chip unusable. The tag substrate design for additive manufacturing, platform tolerant antenna design as well as electromagnetic performance and read range are provided. Oyeka, D. et al. (2014). Inkjet Printed Epidermal RFID Tags. in: EuCAP 2014.. Available at: http://www.eucap2014.org/. Turki, B. et al. (2014). Inkjet Fabrication of Frame Dipole FSS. in: Loughborough Antennas & Propagation Conference. IEEE, pp. 347-349. Digital fabrication techniques gives the possibility of producing elements with very thin and precise features which could allow the modification of UHF structures to reduce ink usage while still achieving similar performance. This paper investigates the case where dipole elements are modified into Frame Dipoles by removing areas where the surface current tends to be very low. Batchelor, J. et al. (2014). Accurate RFID strain gauges for skin mounting. in: 2014 IEEE Antennas and Propagation Society International Symposium. IEEE, pp. 836-837. Available at: http://doi.org/10.1109/APS.2014.6904746. The stability of response with time is assessed for an elastic RFID tag acting as a strain gauge sensor. The design uses conducting Lycra to provide the metallic layer and the substrate is formulated from elastic PDMS material loaded with barium titanate to increase the relative permittivity. The tag is capable of 20% longitudinal strain and offers an almost linear response with negligible drift over time. Rumens, C. et al. (2014). Polydimethylsiloxane Substrates for passive UHFRFID Sensors. in: Loughborough Antennas and Propagation Conference (2014). Loughborough: IEEE, pp. 562-563. PDMS has previously shown to be a suitable substrate for UHF-RFID strain sensor tags due to their elastomer characteristics. However, PDMS has further properties such as polymer swelling which could be utilized in gas sensing. Macroporous PDMS sponges have been proposed as suitable substrates for passive gas sensors. Porous sponges were fabricated using sugar templates and their absorption capacity was investigated along with standard PDMS elastomers. Possible applications could include food package and air quality monitoring. Makarovaite, V. et al. (2019). Passive Wireless UHF RFID Antenna Label for Sensing Dielectric Properties of Aqueous and Organic Liquids. IEEE Sensors Journal [Online]. Available at: http://dx.doi.org/10.1109/JSEN.2019.2896481. The in situ wireless sensing of dielectric properties for organic aqueous solutions with a wide range of relative permittivities is presented. The use of a UHF passive label antenna design attached to either clear borosilicate glass bottle or petri plate is proposed and which allows for the unobtrusive, safe monitoring of the liquid solutions. The meandered dipole antenna (with a parasitic loop matching component) frequency is highly reliant on the chosen container as well as on the liquid present within, and adjusts with shifting dielectric properties. Tested solutions of high relative permittivity (such as water) along with low permittivity, lossy liquids (such as xylene) presented distinctive frequency characteristics with read distances of up to 7 meters for each type of container tested. The sensor was also able to detect ‘unknown’ solutions and determine the dielectric properties by utilizing standard curve analysis with an accuracy of ± 0.834 relative permittivity and ± 0.050 S·m-1 conductivity (compared to a standard dielectric measurement system available on the market). With the accuracy known, tuning the design to fit any necessary frequency is possible as a means to detect specific changes in any one liquid system. This sensor is a possible candidate for discreet real-time monitoring of liquid storage containers and an alternative for low-cost bulk liquid dielectric property identification which could be implemented in areas requiring, constant, or remote monitoring as needed.